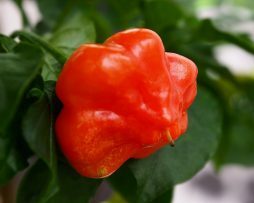 Rare and exclusive…We grew this one from seeds from our good friend Alice Lennard – a chilli queen in her own right. It’s beautiful to say the least and it tastes just as good as it looks. 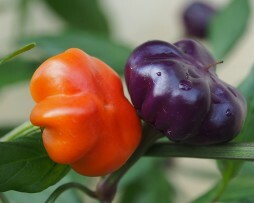 It starts off a ripening to purple then slowly to a bright red if your are patient. The origins of this one are obscure and the most information we have is that it was originally purchased from a local market overseas. Sweet and spicy as a cayenne but definitely not as hot. Very limited stock on this beauty. 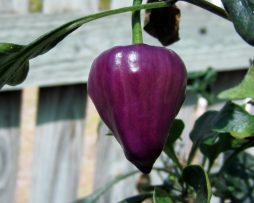 There are a lot of ornamental chillies out there but this one is a ripper if you are crazy about purple varieties. We found this one to be particularly vibrant in its purple stage before transitioning through a rainbow spectrum of colours, turning a final red. Unbelievably easy to maintain, the Purple Candlelight is a great variety to grow in small patio pots. Plant height is around 60cms with pod size 2.5cm long. They are edible when ripe and the flavour is quite similar to a birdseye. There are a lot of ornamental chillies out there but this one is top of the bill. 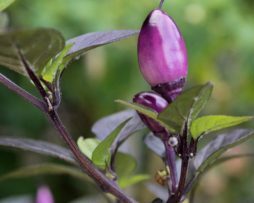 We have never seen a chilli this vibrant purple with an amazing array of colour transitions as it ripens. From fluorescent purple to speckly yellow, this one eventually turns a fire engine red. Just look at the pictures for an idea of it’s beauty. The foliage and stems are a shimmery purple-black with the leaves being close to heart shape. Not the best to eat being quite seedy, but who wants to eat something so pretty – it just doesn’t seem right. 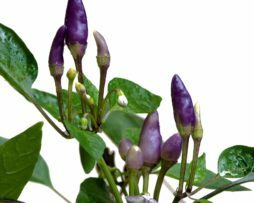 The Purple Tiger, also referred to as the Trifetti or Variegata chilli due to it it’s tri-coloured foliage, is another beautiful ornamental variety. 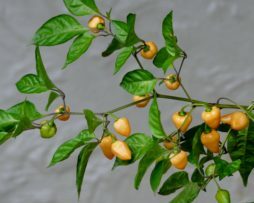 It has vibrant purple stems and flowers and the fruit are shaped like small tear drops. The fruit transition from purple to green and yellow to orange then red. Fruit are often stripped in these colours making it even more stunning. Being a super hardy plant that is easy to grow, it adapts well to any sized pot and on average grows to about half a meter tall. If your like your ornamentals this is a must grow. The purple UFO is a personal favourite. It looks spectacular in a pot with the fine foliage a great contrast to the deep purple of the “UFO” shaped pods! They are crunchy and sweet with a surprising kick of heat. 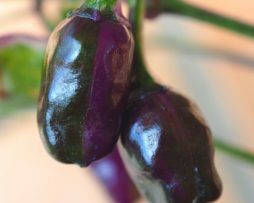 The pods turn red when ripe but until then enjoy the glorious display of the most wonderful purple chillies ever! This one is still like my my very first girlfriend…. 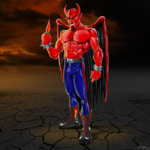 The most used chilli pepper in India apparently – this is a very versatile chilli indeed. We love them, they fruit like crazy, taste almost apple like and can be eaten green or ripe red. Fruit are quite thin and slightly curly growing on average to 7cm. They go great in curries, for making Indian chilli pickle or eaten raw in salads. 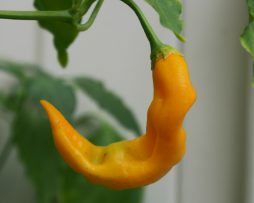 The Brazilian Starfish is a much sort after variety of chilli pepper and is a very unusual due to its uniquely shaped pods. It can be as hot as 30,000 SHU but mostly comes in the lower heat range. The Brazilian Starfish is a tall growing plant and has a vine like habit. It produces very good yields of 2cm long by 4cm wide starfish-shaped pods that are very mild in heat. 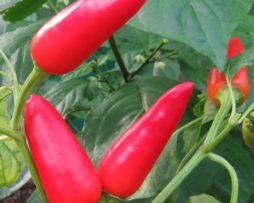 The chilli pepper matures from green to red in around 70-90 days after transplanting. The white flowers of this plant are also very attractive with the very distinctive Baccatum greenish-yellow markings. As it’s name indicates, this highly sought after comes originally from Brazil. 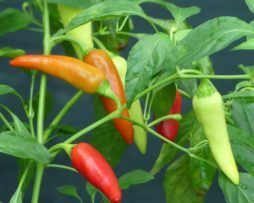 The unique shape of these chilli peppers make them an awesome addition to your chilli pepper collection and garden. 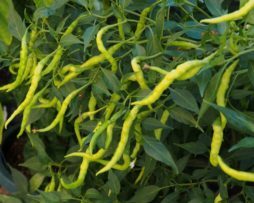 It can be quite cold resistant and is quite prolific during the hotter months. Flavour wise it is a bit fruity and sweet some saying it has a hint of apple flavour. She’s a stunner. 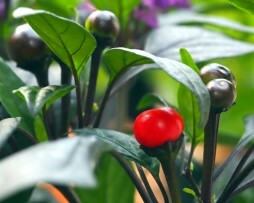 The Royal Black Chilli Pepper is tasty, hot and very elegant. The foliage and stems of this 3ft plant are dark-purple, almost black and have a strong oriental quality with occasional variegated growth of green, purple, and creamy white. Pods are round and slightly bullet shaped 1 1/2 in long by 1/2 in wide and are initially a very dark purple/black before ripening to red. They pack a good punch of heat for their size.